Today we are pleased to announce that schools and businesses now have a wider choice of devices when considering Chromebooks. This morning our partner HP announced the new HP Chromebook 11, made with Google. At $279 with a super bright display, a light but sturdy shell (weighing just over 2 pounds), and a battery life of up to 6 hours, the HP Chromebook 11 is a new option for schools and businesses. We would like to share some of the positive results schools and businesses see from using Chromebooks and Google Apps. We recently reached over 30 million students and teachers using Google Apps for Education, and Chromebooks can be found in over 5,000 schools around the world. In Fairfield County, a rural district in South Carolina, these tools enable a greater focus on building critical skills, like student collaboration and leadership. 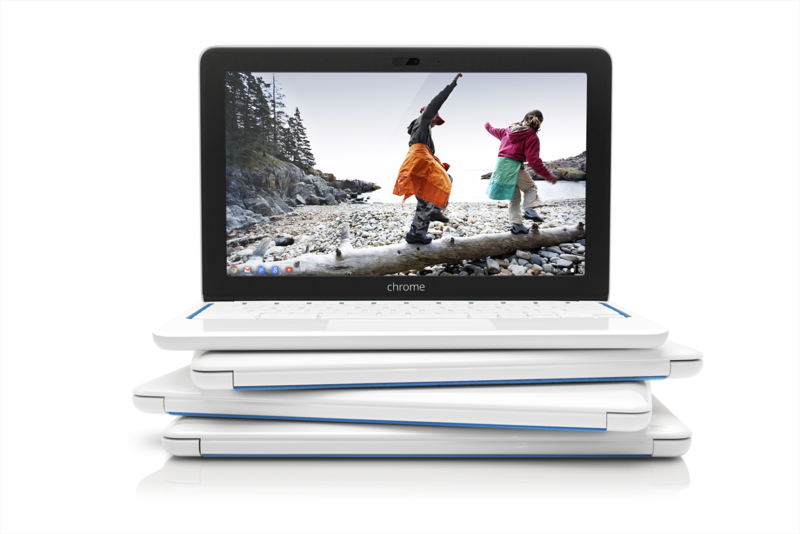 In business, Chromebooks are a great fit for companies that have adopted Google Apps. In addition, Chromebooks are being used as customer kiosks that help drive sales in retail stores, as employee terminals that connect call center agents to customers, and as shared mobile workstations to track production on manufacturing shop floors. To learn more about the new HP Chromebook 11 and other Chromebooks, visit the education or business websites and fill out the “Contact Sales” form to speak with a member of our team.